Technical support has always been an integral part of McKenzie Customer Service. We understand that unless you know how to use a product you may never know its full potential. 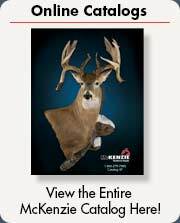 We also are aware that in the ever-changing world of taxidermy there are new innovative products and techniques being developed constantly. To aid you in keeping your knowledge current and complete, we are offering a wide range of instruction courses on our website. Visit our "instruction" link often for review or to learn more as new courses are added. 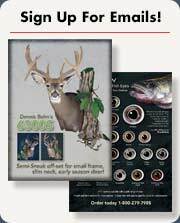 Email us if you have product or taxidermy application instructions you would like to see. We will do our best to get it online for you. Our technical assistants are available Monday-Friday, 8 AM - 5:30 PM Eastern Time at 1-800-279-7985 for any question you may have.